This is an exceptional interview with Darin Ingels, ND author of “The Lyme Solutions: A 5-Part Plan to Fight Inflammatory Autoimmune Response and Beat Lyme Disease”. We will look at what Lyme is, whether you might have it and what it does to sleep. Dr. Ingels got Lyme disease back in 2002, about three weeks before he was due to open his own practice. 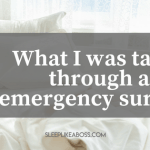 He went through a pretty much everything Lyme patients go through, he started with antibiotic therapy and found that it really failed him. After going through 8--9 months ago and getting worse, he realized he had to find a different solution, so he went back to his roots, a holistic approach. He says it took him about 2+ years to feel like he got his life back and now, 16 years later, after treating thousands of Lyme patients he realized that what worked for him works for them as well. That is the reason he decided to write his new book. They call the Lyme disease the great imitator, because it has over a hundred symptoms. But Dr. Ingels pays special attention to things like chronic fatigue, joint pain, chronic brain fog, especially if the patient is young. Another problem is that this symptoms are very vague and people don’t always pay enough attention to them. The clearest sign is the “bulls-eye” rash, because no other infection can cause this, but the problem is that only 40%-30% of people who have Lyme will get that rash. Another clear sign is migratory joint pain- one day you have pain in your shoulder the other day in your knee or ankle and so on. According to Dr. Ingels most of his patient that have Lyme disease complain about their problems with sleep, they have problems falling asleep but also staying asleep. His speculation is that the Lyme has the ability to cause vary levels or neural inflammation, and any kind of inflammation of the brain can affect your sleep. In his book, he talks about different methods to get your sleep back on track. 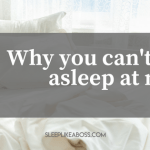 Of course dealing with Lyme disease helps your sleep but there are specific things that people can try in order to encourage their brain to quiet down at night. One of the most effective things he found, is low dose naltrexone, because of its safety profile, its ability to control brain inflammation, to control the immune system. It is one of the therapies that really helped him and his patients with not only sleep but other immune benefits. Most people don’t realize that Lyme disease damages your mitochondria and that repair only happens when you are in deep sleep. So, sleep is one of the most important factors in the treatment of Lyme disease. Today we also have a lot of people addicted to their electronics and there is more and more research that is showing how that can also affect our sleep. 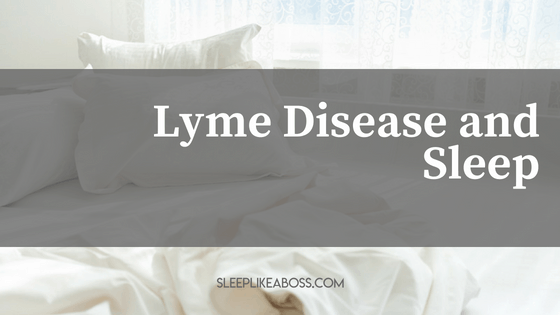 So, we already have sleeping problems that are not associated with Lyme disease so it is really important to pay attention to our sleep and the quality of our sleep. Where you can find top 10 immune boosting recipes that are very easy to make and will help you improve your immune function. You can get his new book here: https://www.amazon.com/Lyme-Solution-Inflammatory-Auto-Immune-Response-ebook/dp/B073YT6MJD/ref=sr_1_fkmr0_1?ie=UTF8&qid=1526227687&sr=8-1-fkmr0&keywords=The+Lyme+Solutions%3A+A+5-Part+Plan+to+Fight+Inflammatory+Autoimmune+Response+and+Beat+Lyme+Disease%E2%80%9D.